You can never put a limit on style, right? Until it comes to packing a suitcase with a 15kg restriction that is! - THE CASE - be sure to check the specific size requirements with your airline before you travel. If you don't, you may be hit with a £50+ fee, it may sound obvious but it's easily done, especially with each companies varied policies. - PICK a colour palette - I always talk about having a versatile wardrobe that just works with minimal effort. I'm talking clothing and accessories.. the more you can mix and match, the less you have to pack. So if you don't already have one, give it a go and try and minimise the amount you take. Plan outfits per day and around what you will be doing, even if vaguely it improves An ideal travel wardrobe is one you can create a variety of different outfits with the same select items. 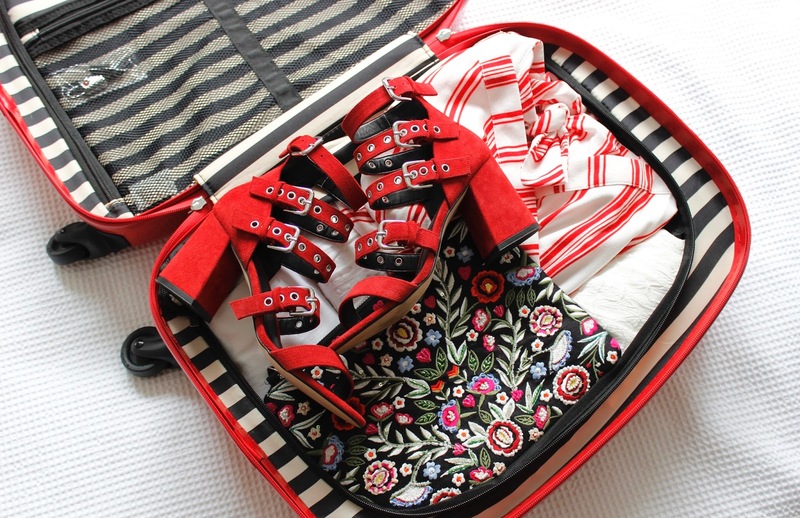 - TRY on all of your full outfits before you pack, including accessories. If you don't, it's the worst mistake you can make.. you throw a selection of items in the case, none of which match anything, then you're left with outfits that don't work in combination. A good tip is to take a photo on your phone so you remember how you have styled them. 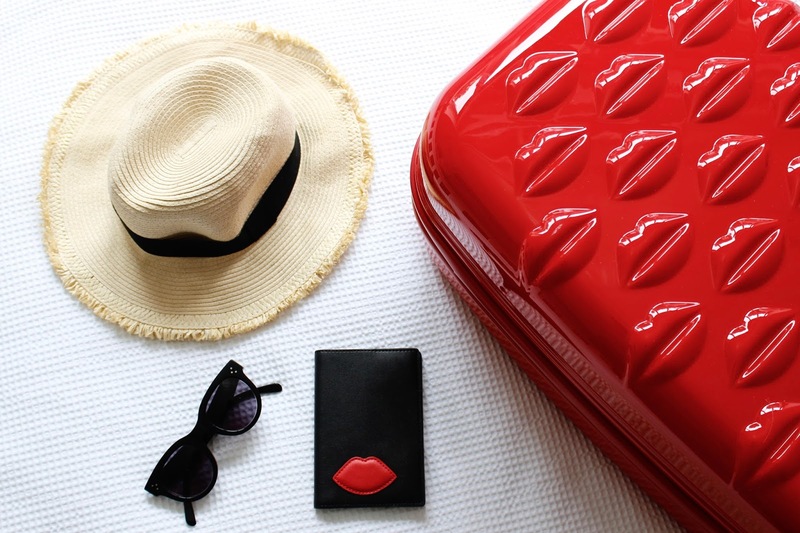 - MAKE USE of the hand luggage case allowance - If you usually purchase hold luggage anyway, you would be silly not to make use of the additional suitcase. Shoes and the more hefty items don't need to take up valuable space if you can spread them out in another case. Remember, most airlines let you have a mini handbag as well for all the travel essentials i.e passport and travel documents. If you're travelling with friends, consider using hand luggage and then sharing the hold fee between a few of you for items like electrical's, toiletries etc that take up too much space in your hand luggage, it's much cheaper. - ORGANISE - When it comes to packing, I find rolling is the way forward, it's a great space saver and it means you can see everything at first glance. If you have any items that crease particularly fast, it's worth laying these flat on top of the case or rolling them with another item. Use lightweight drawstring bags to separate your shoes to avoid any dirty marks transferring to your clothing. Remember, take a bag for your dirty laundry and swimwear too. - TOILETRY MINIS - Amazing little inventions. Perfectly handy if you are flying hand luggage only. They may be sightly more expensive but are ideal for things like dry shampoo, moisturiser and toothpaste where you won't necessarily use a full size for the duration you are away. Another good tip is to decanter your large beauty/ body products into those little inexpensive clear bottles or containers, so you have enough to last you but don't waste space - plus they're refillable. - WEAR - Save your heaviest items for the plane journey. Once they whack that aircon on you'll be freezing so it's worth wearing a few layers that are easy to remove when you hit sunnier climates. Also, make sure the jacket you wear is versatile, it's always worth taking one incase it gets chilly in the evenings, I've made the mistake of not packing a jacket or lightweight cover up and it's no fun! - WRITE A LIST - I usually rely on my brain too much and naturally, we forget things. Write a list and check it off, whether it's on your phone or handwritten. Triple check you have everything - especially the essentials like your passport and travel insurance! Most importantly... wherever in the world you're travelling, organised suitcase or not, have fun!